With all of the memories that we have stored in our minds, it's possible that we have forgotten more than we've retained! 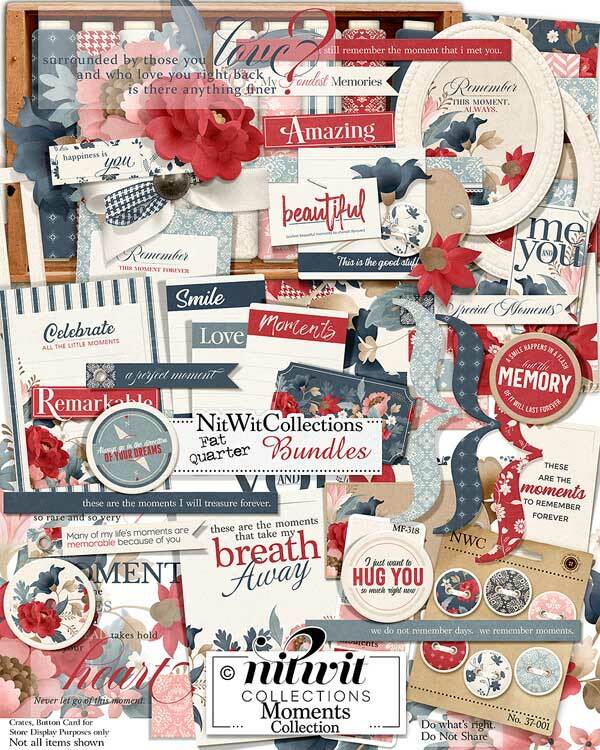 FQB "Moments" Collection encourages you to preserve your memories through creating cards, scrapbook layouts and mini albums. Choose to safeguard these treasures and all of their little details using the beauty and versatility of this digital kit. 2 Flower clusters in different styles and abundance....a little or a little more?? 1 Frame sentiment which embodies beauty and grace - "Remember this Moment Always"
1 Journal square beautifully adorned with the floral cluster - "Celebrate All the Little Moments"
1 Digital stamp sentiment - "So Rare and So Very Special...."
1 Digital stamp sentiment - "Me and You"
1 Digital stamp sentiment - "Surrounded by those you Love...."
1 Sentiment card stunning in its design - "These are the moments that take my breath away." 1 Sentiment card - "These are the Moments to Remember Forever"
3 Ticket elements graced with floral accents and one with the sentiment - "Me and You"
1 Word label - "Remarkable"
1 Word label - "Amazing"